Tim McCreadie has struggled for the bulk of the 2018 racing season. From February to early August, McCreadie was blank in the win column. At this same point in 2017, McCreadie had 4 wins. At the point of the 2017 North/South Shootout at Florence Speedway, McCreadie had collected $188,425 in race earnings. He also sat 3rd in series standings. 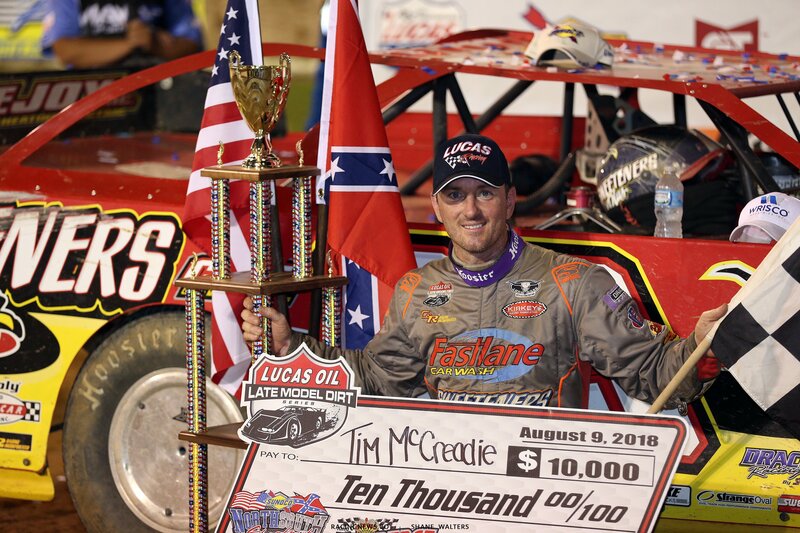 As of the 2018 North South Shootout, McCreadie had race tallied race earnings of only $93,075. In addition, he’s currently 6th in series standings. That all changed on Thursday night. 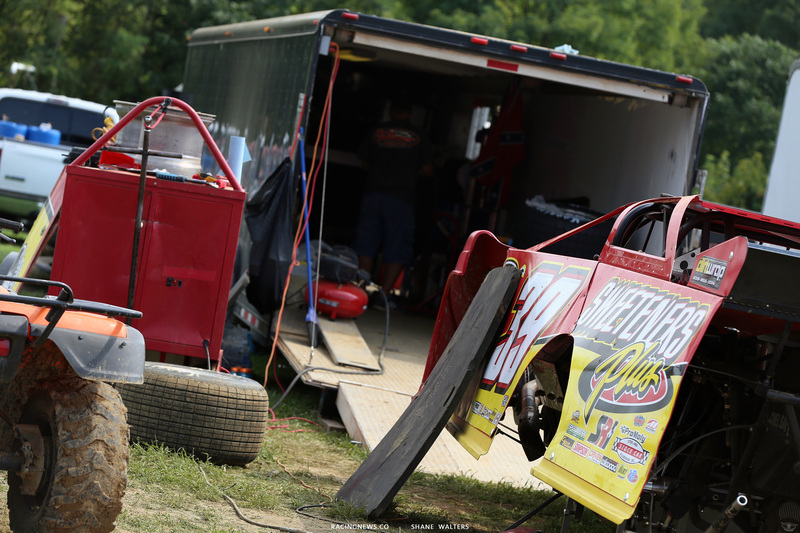 Tim McCreadie won his heat race then went on to hold off Bobby Pierce to take his first win of the season in a finish that nearly mirrored last year’s North South 100. Did you start the season out with new cars? Tim McCreadie has been struggling since the first swing of the tour when they went to Georgia and Florida. After a night of struggling at East Bay Raceway Park the team rolled out the backup. “It didn’t help,” McCreadie told me back in February. In victory lane when you said that you went back to the stuff that you were using last year. Is that just the equipment or is that the setup too? What’s the reason for the smaller trailer? Earlier in the season you said you didn’t have a truck driver and that was preventing you from going testing. Now that you have this trailer does that mean you’re out there testing again? I think the fans will look back on this weekend in a few months and see it as the turning point for Tim McCreadie’s 2018 season. Tomorrow night, the $50,000-to-win North/South 100 will conclude at Florence Speedway. McCreadie is the defending winner of the event.